Save $1200 now when you sign a 12 month lease! Call for details! Minutes from the M-14, I-275 and I-96 expressways, The Pointe at Canton Apartments and Townhomes are conveniently located in Canton, Michigan, less than 30 minutes from both Ann Arbor and downtown Detroit. Currently undergoing multimillion-dollar renovations, our community offers two- and three-bedroom floor plans and a range of updated interior and exterior amenities. Our Canton apartments are also within the top-rated Canton-Plymouth school district and just a short commute from top universities like University of Michigan and Eastern Michigan and major employers like Ford Motor Company and Trinity Health. Along with an ideal location, each home at The Pointe at Canton features private entrances, optional private garages, vaulted ceilings, and in-home washer/dryers. Our apartments and townhomes in Canton MI are perfect for both roommates and families and offer spacious closets with custom shelving, granite kitchen counter tops, and beautiful views of the landscape from a private patio or balcony. Multi-million-dollar renovations are in progress and will include updated kitchen and bathroom finishes. Residents of our pet-friendly community can also enjoy monthly social events and the peace of mind 24-hour emergency service brings. The Pointe at Canton Apartments and Townhomes also provide fantastic on-site amenities that include a 24-hour fitness center, clubhouse, relaxing courtyards, fitness center, and swimming pool.  To learn more about the premier townhomes and apartments in Canton MI, call today to schedule a tour. Don’t forget to ask us about our Preferred Employer and Stars & Stripes Military discounts!